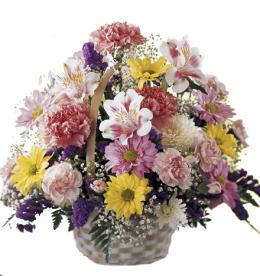 The FTD® Lilies & More™ Bouquet is a happy display of color and blooming beauty to send your special recipient your sweetest sentiments. 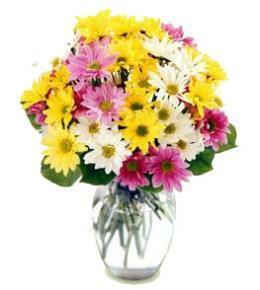 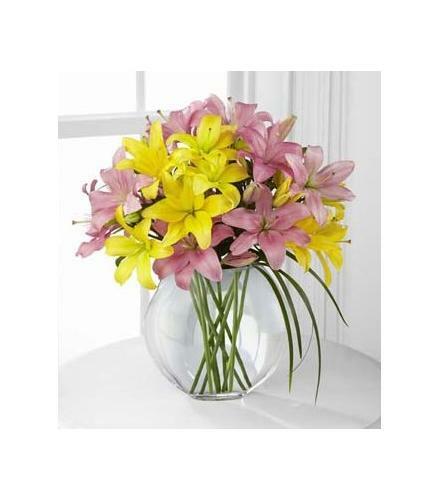 Pink and yellow Asiatic lilies pop with color and a vibrant energy accented with lily grass and arranged within a clear glass pillow vase to create an incredible way to extend your cheeriest congratulations wishes. 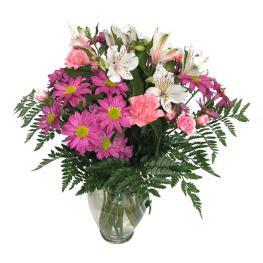 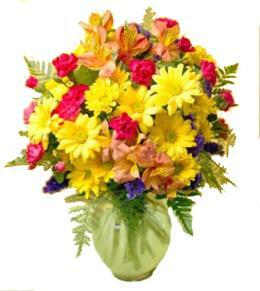 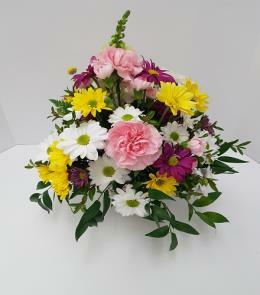 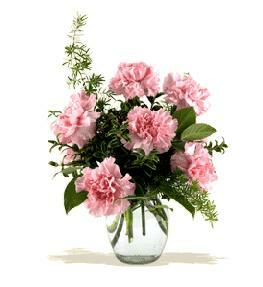 Easter Lilies - The FTD Lilies & More Bouquet.